The stencil search is available in the Page View where pages are edited. To find the desired element, simply start typing the first letters. This will activate the stencil search and automatically filter the palette to only show stencils that match your search. This works at any time, provided you aren’t editing or have selected any element on the page. 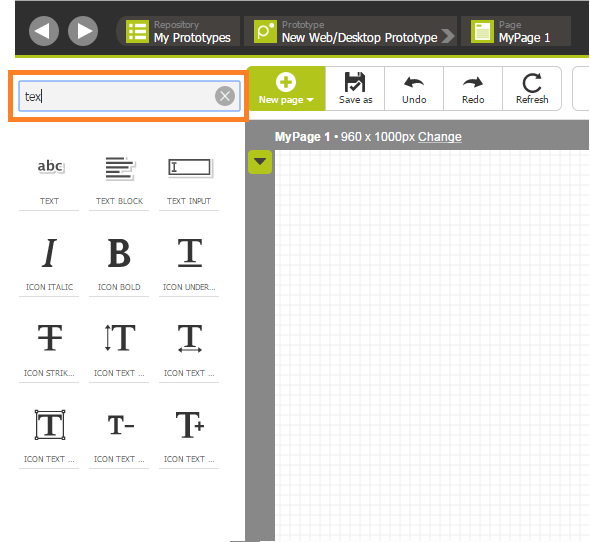 You can search stencils, icons, uploaded images and even custom stencils – everything is searchable! Once you have spotted your element in the search results, either drag and drop it onto the canvas with your mouse or use the arrow keys to select the stencil from the search results and hit “enter” to add it to the page. Hit “enter” again to keep adding more of the same stencil. Hint: Stencils with multiple variants (e.g. icons, arrows, charts or flowchart elements) appear under one generic symbol in the palette, but will be listed with all variants in the search results. If you drop the generic element onto your canvas, a pop up will allow you to choose from the available options. That’s it! 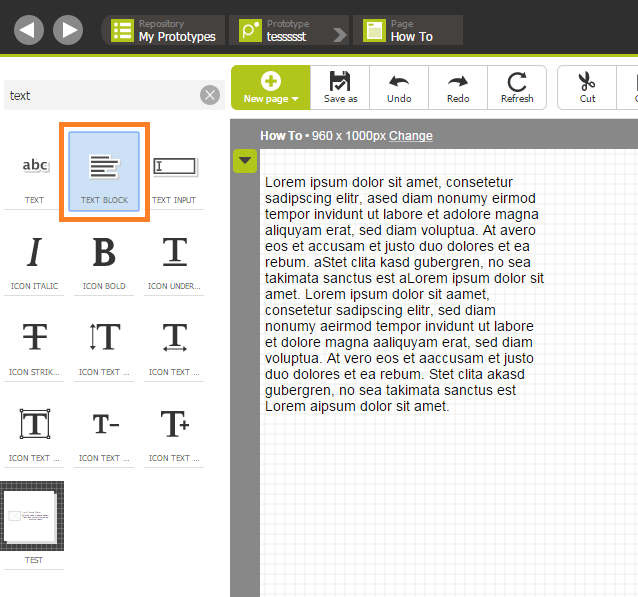 You have successfully added elements using the re-designed stencil palette and the new stencil search! Do you need help finding your elements? Then do not hesitate and drop us a line via support@pidoco.com or Facebook and Twitter.